April has arrived! The snow is almost gone, the birds are returning, and the long winter is just about over (or just about the begin!!). This also means that the 2019 NFL Draft is very quickly approaching. The combine is over and the pro days are currently happening. The pre-draft rankings for rookies are starting to solidify a little bit. 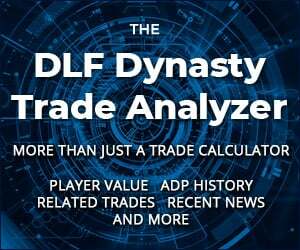 The team these players land on will of course have some impact on their overall dynasty value, especially in the short term, but knowing where your favorites stack up now, especially if you are a believer in long term value, can give you an added edge in trade talks. 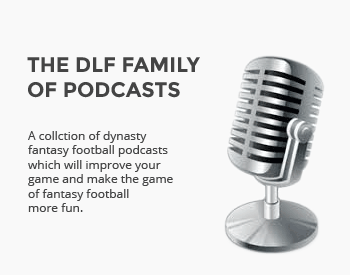 To help you out, I gathered some of DLF’s finest to do a run through of how the first three rounds might look. If you missed the first round or the second round, take a moment to look back. Let’s take a look at the third and final round. Pete’s Thoughts – Take a chance in Kansas State running back Barnes at the 3.01. He has one of the top athletic profiles in the 2019 NFL Draft and produced better numbers each year while at college. I was unimpressed by his college film at times based on his athletic profile but expect better things with a more competent offensive line in front of him. My Thoughts – Boasting a complete skill set and some solid college production, Barnes is a pretty decent flier at this point in the draft. While his athletic ability didn’t always show up with the pads on, there is definitely a little bit of promise. If he lands in a favorable situation, he might be one to watch moving forward. No Dexter Williams love in round 3?? Anyone got a write-up on this guy?